I helped work today at the church salad luncheon. Oh my, what riches of salads to munch on! It was a feast for this salad loving fan. But the torture to watch as I fetched and washed trays! The sights and aromas taunting the tummy in so many ways. Finally, my shift ended, I sat down. And yum! If you missed it, you must wait for next year to come. Great fun to work at the salad luncheon for All Saints today. Plus I got to meet many fellow parishioners. I can recognize the faces, even it I can't places names to all the faces. I forgot to take my picture in my purple apron. 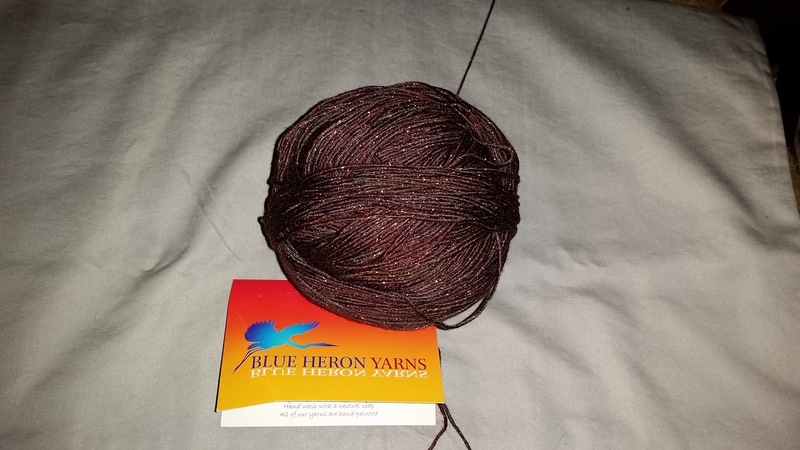 So, in the meantime, here is a picture of the yarn for my newest project. 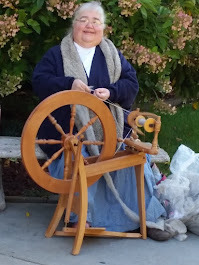 It will be another Hitchhiker that will be a better traveling project, since Sandy's Traveling Woman shawl is strictly charted work now. This yarns as part of my Christmas gift certificate purchase and is a rayon metallic. The colorway is called Tapestry and is brown/burgandy with a coppery thread running through it. And tomorrow, my first Sacraments of Reconciliation (Confession), and Eucharist!